Celiac disease, a genetic autoimmune disorder, affects at least 3 million Americans. According to the University of Chicago Celiac Disease Center, “When a person who has celiac disease consumes gluten, a protein found in wheat, rye and barley, the individual’s immune system responds by attacking the small intestine and inhibiting the absorption of important nutrients into the body.” If left undiagnosed and/or untreated, people with celiac disease may develop other disorders, including osteoporosis, infertility and even cancer. As always, the best treatment begins with understanding and knowledge. In the spirit of Celiac Disease Awareness Month, which takes place every May, let’s examine this subject with some diligence and add to our own awareness of this very serious affliction. Researchers in Birmingham, England, link celiac disease with gluten. The American physician Christian Herter publishes a book on children with "intestinal infantilism." English pediatrician Samuel Gee gives the first modern description of celiac disease during a lecture in London. The Ancient Greek physician Aretaeus writes the first known description of celiac disease, which he calls koiliakos (abdominal) infection. The only treatment for celiac disease is a gluten-free diet. Know someone in your family with celiac disease? Then get a screening. Parents and their kids have a one in 22 chance of developing the disease if someone in the family is diagnosed. When the Food Allergen Labeling and Consumer Protection Act went into effect in 2006, people with celiac disease could for the first time check food labels to determine if a product was safe for them to eat. Some of the more famous names diagnosed with celiac disease include American gymnast Alyssa Baumann, NFL running back Cedric Benson, and Brazilian musician Ivete Sangalo. In 2017, the Vatican decreed that gluten-free bread could not be used in the Eucharist, or Holy Communion. Women are more likely to have celiac disease than men. In fact, according to Beyond Celiac, "Women in the general population are diagnosed with celiac disease two to three times more often than men." The University of Chicago Celiac Disease Center reports that "medical textbooks still contain outdated information" on celiac disease. A recent report indicates that by 2025, the gluten-free products market will top $33 billion. Celiac Disease Awareness Month provides an opportunity for us to learn all we can about a disease that is reported to affect one percent of all Americans. The University of Chicago Celiac Disease Center reports that 97 percent of celiac disease cases go undiagnosed in the United States. Many of these people still suffer from the typical symptoms, such as abdominal pain, diarrhea and fatigue. Celiac Disease Awareness Month can inspire people to seek treatment once they know what to look for. 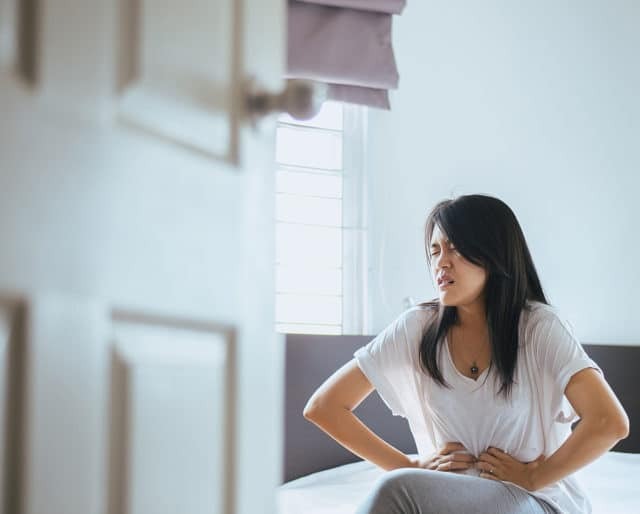 According to the Mayo Clinic, "more than half of adults with celiac disease have signs and symptoms that are not related to the digestive system." These include anemia, skin rash and joint pain. Celiac Disease Awareness Month is a chance to ask important questions about our health.